Broughton Business Park — Fully Customizable Commercial Space! Contact us for availabilities! 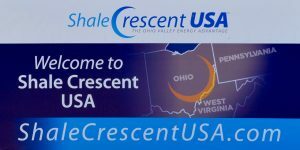 We continue to develop more of our land, design and construct new buildings and facilities on State Route 821 between State Route 60 and I-77 Exit 6 near Marietta, Ohio 45750, the heart of Shale Crescent USA. We specialize in developing customized building spaces on 55 acres of our 600+ acres of property. We provide Morton Buildings and will customize or build-to-suit to fit the needs of your business. Our campuses currently consist of 25 buildings and growing. Offices are located in Complex 1, Building 1 at 639 State Route 821, Marietta, Ohio 45750. The Broughton Business Park is strategically situated in the Shale Crescent, an area that has the most affordable natural gas prices in the industrial world, river access for process and transport, and that is within one day’s drive of 50% of the US and Canadian population. All complex(s) surrounded by nature with over 600 acres of park including several trails, streams, waterfall and fishing ponds.